The Hand Held ScanTeam ST 8310 has been renamed to the Honeywell ScanTeam ST 8310. 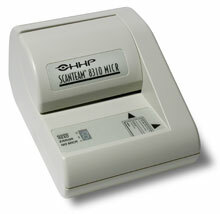 The SCANTEAM 8310 is the reduced feature set member of the SCANTEAM 8300 family of check reader products. All ST8300 products contain FLASH memory which allows for easy firmware upgrades in the field without the need to disassemble the product and a magnetic read head for MICR data capture. The SCANTEAM 8310 contains communications support for traditional PC COM ports for PC-POS applications many PC and video terminal keyboards in a Keyboard wedge mode as well as support for communications with many Credit Authorization Terminals including HypercomTM Data CardTM Verifone TranzTM and ZONTM series products. Cable, For the 2010, 2070, 8300, 8310 and 8400, 3 feet, Mini Din, 6-Pin M/F. 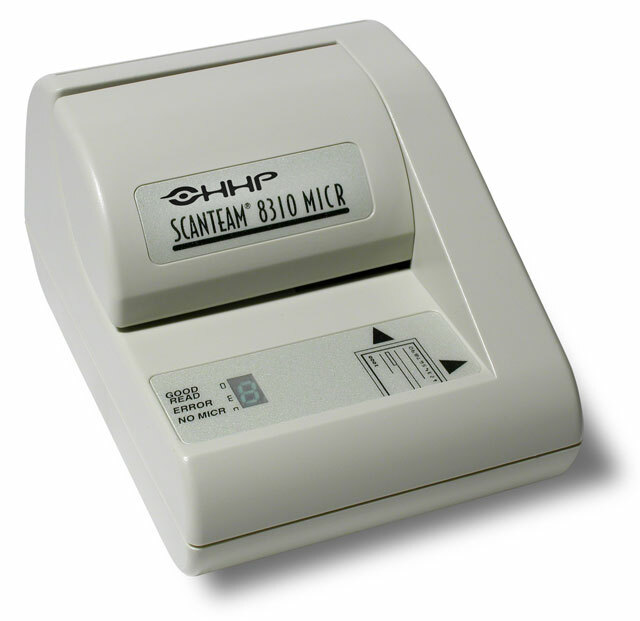 The ScanTeam ST 8310 is the reduced feature set member of the SCANTEAM 8300 family of check reader products. All ScanTeam ST 8310 products contain FLASH memory which allows for easy firmware upgrades in the field without the need to disassemble the product, and a magnetic read head for MICR data capture. The ScanTeam ST 8310 contains communications support for traditional PC COM ports for PC-POS applications, many PC and video terminal keyboards in a keyboard wedge mode, as well as support for communications with many Credit Authorization Terminals, including HypercomTM, Data CardTM, Verifone TranzTM, and ZONTM series products. Quick, easy check handling, and a high first pass good read rate. Compatibility with hundreds of PC, POS, and teller systems through keyboard wedge interface. No action is required to differentiate E- 13B from CMC-7. Checks are automatically read as they are presented.